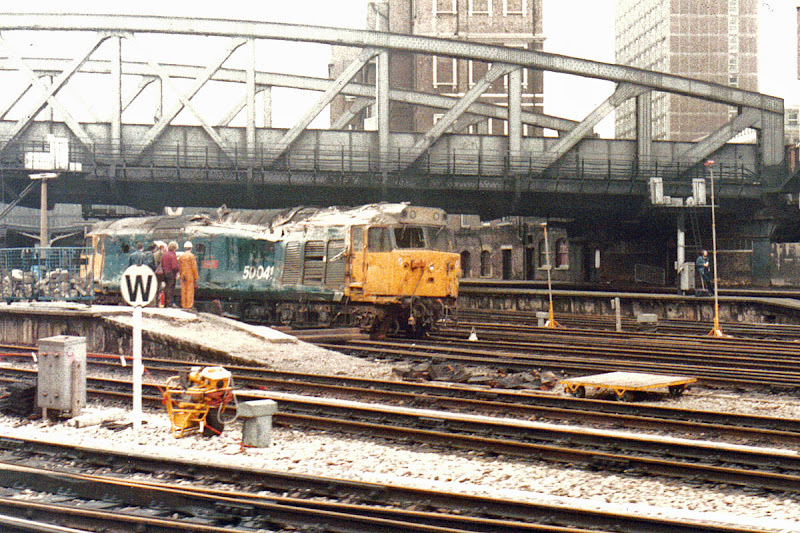 50041 Bulwark derailed at the mouth of Paddington station on 23rd November 1983. There was no loss of life, but many were surprised that the locomotive was repaired and returned to traffic. I rode the adjacent Hammersmith and City line on Saturday 26th November in order to get these pictures. These were shot on 1st generation VR1000 film which was grainy in daylight usage. 50041 was new as D441 to D05 (Stoke Division) on 5th October 1968, and was named on 8th May 1978. It went to Doncaster on 29th May 1981, and refurbishment commenced on 1st June, with return to traffic on 29th October. Following the accident, it was returned to upright on 25th November 1983 and taken to Old Oak Common, where it lay until 17th January 1984 when it was started its journey, by rail, to Doncaster. Repair took almost a year, with return to traffic following a Doncaster to Newcastle test train on 4th January 1985. 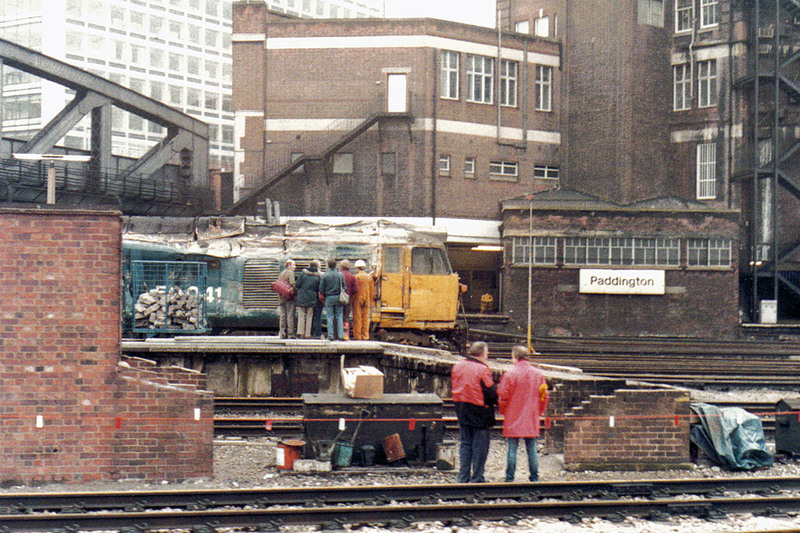 The locomotive was withdrawn in on 14th April 1990 and broken up at Old Oak Common by Coopers Metals in July 1991. The location of the accident - the bridge was later replaced.